Clifford Lister started his musical education as a chorister at Winchester Cathedral, later winning a Choral Scholarship to The King’s School, Canterbury, and subsequently studying singing with Kenneth Bowen and the late Clara Taylor at The Royal Academy of Music. Whilst at the Royal Academy, he moved from the post of ‘Lay clerk’ at Canterbury Cathedral, to a similar post at Westminster Cathedral, where he remained for the next 20 years. 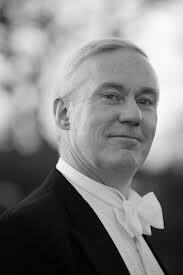 In November 2007, he decided that he would concentrate on teaching, concert work, and consort work with groups such as Cappella Nova (Scotland) and Opus Anglicanum. Clifford continues to enjoy a varied career as a soloist, recitalist, and as a part-time member of the cathedral choirs of Rochester, Canterbury and Westminster, with whom he continues regularly to tour, broadcast and record. Nearer home, he is a regular soloist with many choral societies in the south east, and has sung all the mainstream Tenor solo roles in Oratorio. Recent performances have included Haydn Harmoniemesse and Schubert Mass in Bb, for Rochester Choral Society, Handel Acis and Galatea with Deal and Walmer Handelians, Creation for The East Bridge Chorale and Britten War Requiem in Rochester Cathedral. Forthcoming engagements include Bach St John Passion in Canterbury, Stainer Crucifixion, and Puccini Messa di Gloria in Wales. The teaching continues to flourish at Christ Church University and Kent College, Canterbury, where his students currently include a number of the Canterbury Cathedral girl choristers. 22 years ago the Thanet Festival Choir approached him to take over as their Music Director. The prospect of coaching a large group of singers on a weekly basis was a rather appealing (daunting?) challenge, especially since the only group he’d ever directed before was a Junior Choir in a primary school. On the basis that nothing could be more demanding than a primary school choir of seven and eight year-olds, he accepted the offer, and has overseen our progress ever since. Under his guidance, both the Thanet Festival Choir and the Thanet Chamber Choir (formerly the Seventy Chamber Choir of Thanet) – of which he is also Music Director – continue to flourish, bringing music of many genres and styles to this corner of East Kent. Occasionally the two choirs join together to fulfil a particularly exciting project: one such was Handel’s Israel in Egypt which we performed in November 2017. This year will see the Thanet Festival Choir visiting Chimay, Belgium (twinned with Ramsgate). This is a collaboration which has grown and developed over the past twelve years – they last visited us in 2015. A joint venture including the Mozart Reqiuem is planned for their next visit to us, in 2021.